The Easter holidays are upon us and we know that a lot of you go away with the family over the long weekend. When you travel it can often be hard to keep up your skincare- you are out of routine, you don’t have all your products and you’re so busy you just forget! We want to make sure you have an easy holiday skincare routine so here are our tips to make it manageable. 1. Take into account how long you are travelling for - If you are going away for a few days you probably won’t need everything. You can leave your exfoliator for example, and just take the products for your daily routine. 2. Think about where you’re going - Are you going to the beach? Then you’ll need moisturiser and sun cream, and you can probably ditch the toner for the week. If you are going camping it might not be as easy to wash your face so take wipes and creams. Flying somewhere? 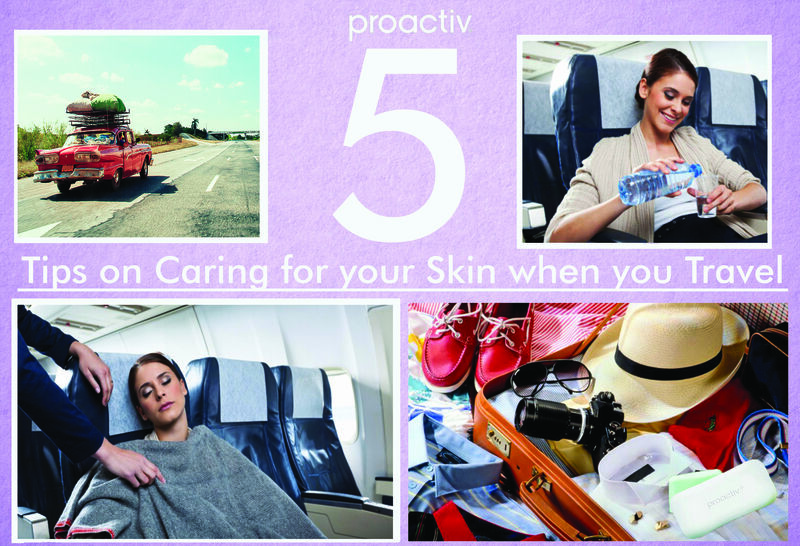 Take a hydrating face spray and a good moisturiser on the plane to keep your skin hydrated. Don’t take unnecessary products that take up too much space. 3. Look for travel sized versions of your favourite products - No one needs to take a 1L bottle of shampoo, conditioner and moisturiser away for a week. When you see travel or sample sized versions of your favourite products buy them and keep them in a toiletries bag in your bathroom. If you can’t get a travel size version then you can buy clear mini bottles at your local chemist to fill. 4. Pack products that multitask - There are a number of products that have more than one use. Whether it’s a moisturiser such as our Oil Free Moisturiser with SPF doubles as a sun cream and moisuriser, while our Cleansing Body Bar can be used to wash your face and body, so you can leave the soap and the cream cleanser behind. 5. Eat well and hydrate - Often holidays mean a big change in diet, and mostly for the worse! So by all means indulge and enjoy, but don’t forget that healthy skin needs healthy food! Also, remember to drink a lot of water. If you are going on a road trip or flying chances are your skin will be in the air-conditioning for quite a while, which dried it out. So remember to hydrate! We hope you all have a fantastic break, wherever you’re heading. Next week we will be back talking about acne and how you can prevent it when there is so much chocolate around! See you then.